Water scarcity is an important issue and to overcome it we offer Rain Water Harvesting system with assurance of 12 months Water supply. 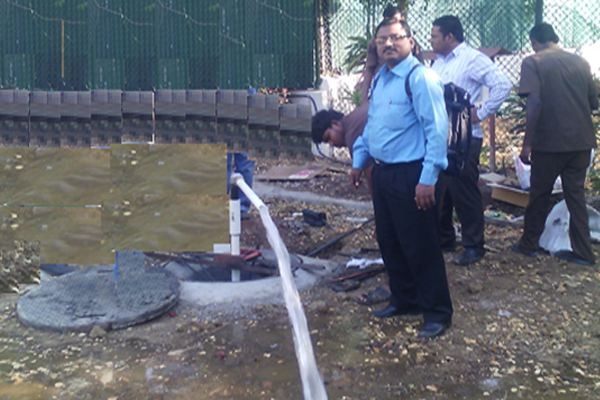 It is very effective and helps in increasing the Water Level at underground water resources. 97% of the water on Earth is salt water, while only 3% is fresh water. The source of all water on earth is not the river, is not the underground aquifer, is not the lake, well or stream. Rain/snow is the source of all fresh water. We receive most of its rainfall in just 100 hours out of 8,760 hours in a year. But this is enough to meet our water needs, provide food security and eradicate rural poverty provided we store this water in a proper way. In view of the indiscriminately rising population and comparatively limited rainfall there is an urgent need to search ways to save water and to put those to actual use. Henceforth MCGM will not be able to supply water for secondary requirements such as flushing, gardening, vehicle and floor washing etc. Therefore, the residential localities within the MCGM area will be supplied only 70 litres of water per person per day instead of previous135 lpcd (litres per capita daily) to ensure RWH will supplement the gap. Since 2008, MCGM has mandated RWH implementation for new developments having plot area more than 300sq.mts. Trees/plants can survive themselves on the ground water, without depending on anyone to water them. The Trees/Plants in turn absorb carbon dioxide, cleanses the atmosphere and prevent soil erosion. Rain water harvesting is one of the important compliance for all housing and corporate societies. Builders developing plots with an area above 1,000 sq metres must make provisions for rainwater harvesting. OC will be provide on compliance of Rain Water Harvesting System. There are two type of harvesting practices in industry. 1. Collect the rain water from catchment area and store it in underground tank. 2. Collect the rain water from catchment area and recharge into the ground water resource. Both the system are good and has its pros and cons. For this rain water harvesting system good water storage capacity should be installed. Proper cleaning and care as to be taken in rest of monsoon months as it may remain empty or the filled water may get contaminated. This storage water resource has limitation of supply depending on the storage capacity provided to store rain water. This system is suggested for the marshy land or the site where bore water is salty or muddy. This system is costly as it demands good volume water storage tank in civil for longer supply. In this Rain water Harvesting System the collected water is made percolate to the underground water resources. In this system the Earth itself is considered as our storage tank. 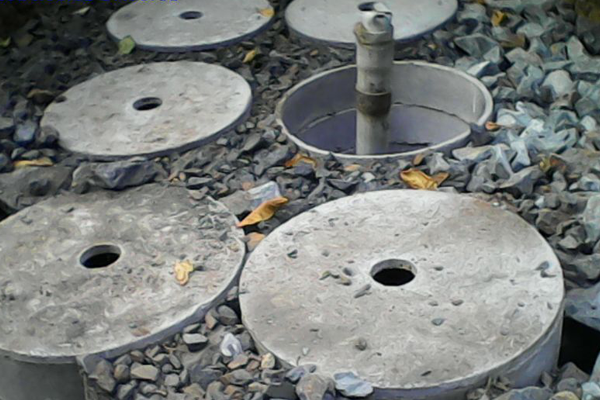 This helps to recharge the underground water resources and helps to increase the underground water level. The effect of this may be identifies as nearby well's water level will increase, good greenery in the region can be seen. This Rain Water Harvesting system actually help to imply the water conservation in the region. This rain water harvesting system is cost effective and can supply water all 12 months.